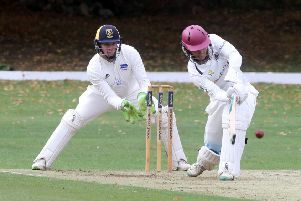 Former Stamford School pupil Zak Chappell will be playing alongside a host of England internationals next season after signing for a new cricket county. Nottinghamshire County Cricket Club beat off stiff competition to sign the highly rated 22-year-old from his current county Leicestershire. Notts play in Division One of the County Championship, and the all-rounder’s new team-mates will include internationals Stuart Broad, Samit Patel and Jake Ball, as well as limited over star Alex Hales. Chappell, who has signed a three year deal, told the club’s official website: “This is a dream move for me and I’m excited to get started at such a prestigious club. “Nottinghamshire have a top-quality squad and I think it will be the perfect place for me to take my game to the next level. Chappell has been in impressive form for Leicestershire in 2018, taking 16 wickets in Division Two of the County Championship at an average of 15.93. He also has an overall batting average above 30 in first-class cricket and scored 96 on his red ball debut aged just 19. England have thought highly enough of Chappell to send him on a pace bowling programme after last season. Notts director of cricket Mick Newell said: “We’re pleased that Zak has agreed to join us and can’t wait for him to join up with the squad from the end of the season.